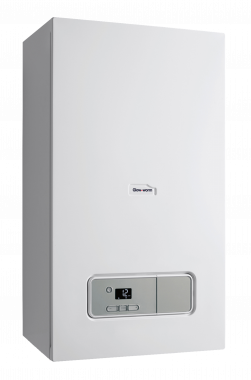 The Ultimate3 Regular gas boiler is a compact, condensing and wall mounted unit designed and manufactured by Glow-worm. As this is a condensing unit, it offers high efficiency, with an efficiency rating of 89.6% and ErP A rating. With an output rating of 25kW, the Ultimate3 is perfectly suited to larger homes with 2 or more bathrooms that have a higher demand for heating and hot water. As this is a Regular boiler, also known as a Conventional or Heat Only boiler, it heats your central heating system directly and also produces hot water for your cylinder. Due to the fact that you need a hot water cylinder, often fed by a cold water storage cistern located in the attic, this type of boiler requires a lot of space so isn’t suitable for smaller properties or homes where space is limited. Featuring a 5 year parts and labour warranty, you’ll be getting the peace of mind that your well covered long after installation.